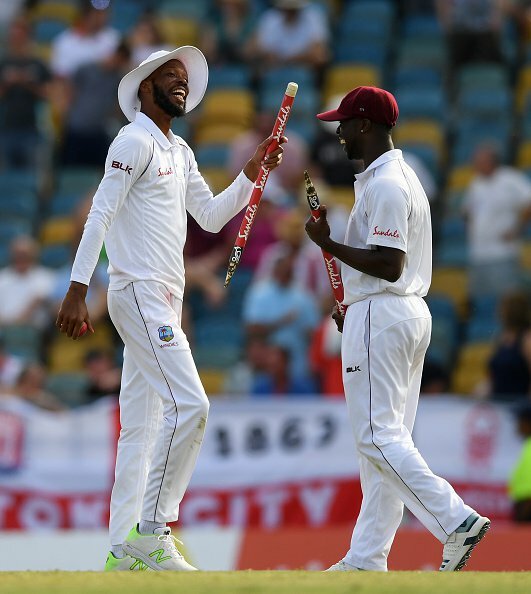 Roston Chase picked up 8-60 as England were thrashed by 381 runs. The run chase? That was always going to be impossible. Facing Roston Chase? Well, that turned out to be similarly beyond England. In a way, this defeat was inevitable. This England team have shown themselves capable of remarkable things over the last 18 months, both good and bad. No achievement is too high and no ignominy too low for this eccentric collection of all-rounders, wicket-keepers and batsmen battling to keep their place in the side. 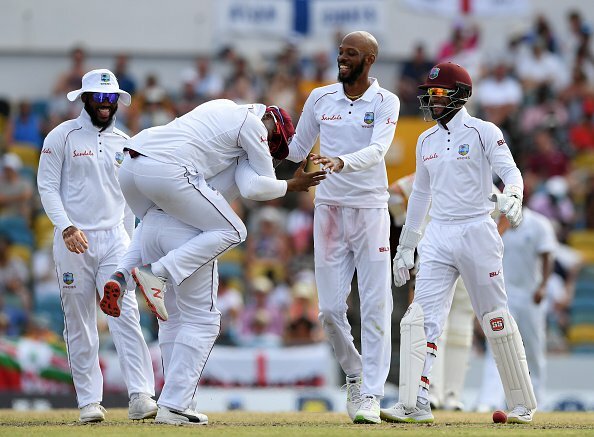 It should therefore be no surprise that, after succumbing to West Indies’ pace attack on their way to getting bowled out for 77 in the first innings, they should then be rolled over by the part-time spin of Roston Chase in the second innings. Think of it as a kind of bingo card of Ways to Get Beaten in Test Cricket; England must be close to a full house. 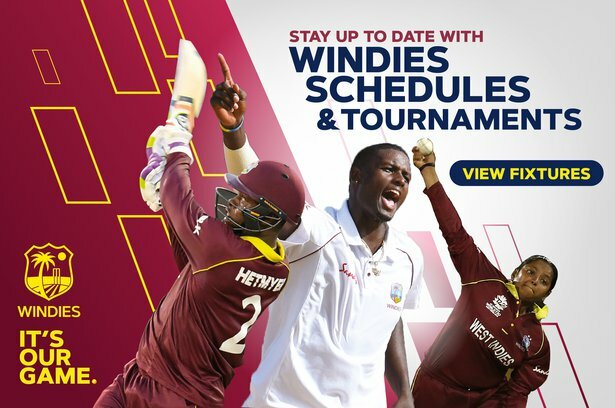 There is of course an irony that, in a match that England wrongly picked two spinners in their playing XI, it would be a spinner – and not even a frontline one, at that – who would take career-best figures of 8-60 to give West Indies a 1-0 lead in the three-match series. Chase comes across as one of the more unassuming cricketers. 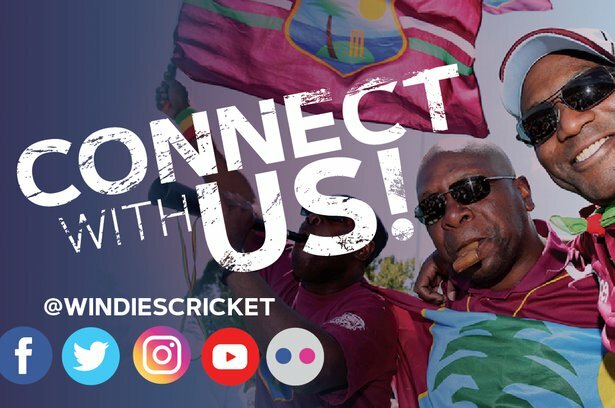 He is a world away from the flamboyance and the swagger that is so often associated with players from the Caribbean. With the bat, he doesn’t play outrageous shots; with the ball, there is little mystery to his off-spin; he’s only played five T20 matches in his entire career. But what Chase has become is a reliable, consistent performer who has been an increasingly safe pair of hands for Jason Holder to turn to. Holder has predominantly used Chase as a fifth or sixth bowling option and, since Chase’s debut, only five bowlers used in that role have taken more wickets than him. Yesterday though, Chase was given a more senior role, and how he relished it. An injury to Shannon Gabriel possibly increased his workload, but he was nonetheless thrown the ball before Alzarri Joseph on a pitch that was still showing little sign of deterioration. Indeed, Chase did not require a crumbling pitch to aid his gentle off-spinners. Only ten balls he bowled turned a ‘large’ amount (more than 4.5°) and three of his eight wickets came from balls that turned less than 2.5°. Rather than finding prodigious turn, Chase relied upon his ability to land the ball repeatedly on an in-between length that England’s batsmen had no answer to. To the right-handers, Chase landed 21 balls in between 4m and 4.8m from the batsman’s stumps. From those deliveries, England didn’t score a single run while Joe Root, Jos Buttler and Adil Rashid each lost their wickets to balls in that region. Against England’s left-handers, it was a similar story, except that Chase’s zone of confusion was even larger. The 38 balls he bowled between 2.7m and 5m that pitched on middle stump or wider – illustrated by the green box in the below graphic – cost him just twelve runs and he picked up the wickets of Rory Burns and Ben Stokes. Chase bowled twelve overs on the trot once Holder threw him the ball on day four. He was then only brought off to change ends and he bowled a further seven overs in succession. For a part-timer to be able to hold up an end to that extent is a damning indictment on the way England performed against the off-spinner. Only when Stokes struck him for a six and a four in the 62nd over were England successful in putting pressure on Chase. That is not to say they didn’t try; the visitors attacked 29% of the balls he bowled, a higher percentage than any other bowler in the innings. The problem lay with when England tried to manoeuvre the ball into the field – four of Chase’s eight wickets came from rotating shots and England were only able to score 11 runs from the 36 balls they tried to work the ball around. To further condemn the way England played Chase, using CricViz’s Wicket Probability Model, Chase’s Expected Wicket tally in the fourth innings was just 1.38. That means that on average, based on the quality of the deliveries he was bowling, he would be expected to pick up 1.38 wickets. The difference between the expected value and the actual number of wickets he took (6.62) is the second largest in the CricViz database. England have been no stranger to chastening defeats in recent years, particularly away from home. Where this one ranks in terms of its effect on this side that seems to be in perpetual transition remains to be seen, but there cannot have been many matches where so many mis-steps have been taken. From the poor team selection to the first innings batting, followed by a wicketless third day, Chase’s exploits were the icing on a particularly shambolically-crafted cake. Chase himself will care little for any of that though. 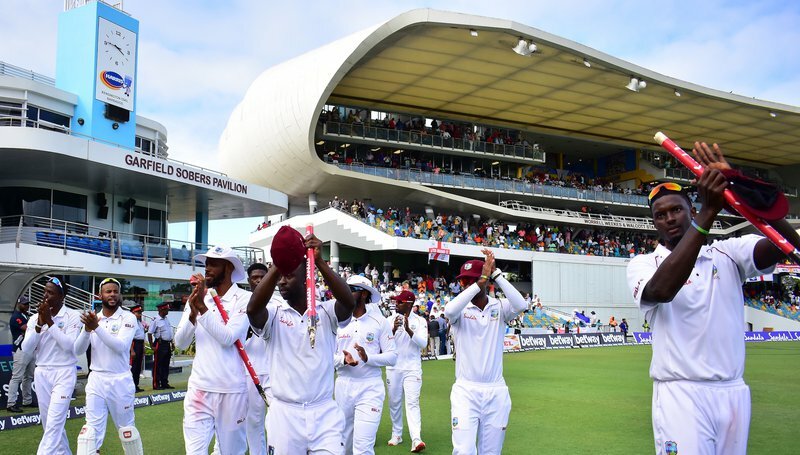 Kensington Oval, his home ground, has seen plenty of fine bowling performances down the years – the ends are named after the greats of Joel Garner and Malcolm Marshall. Chase is unlikely to be ranked anywhere near that calibre of bowler by the time his career is done, but he has nonetheless carved out a little slice of history of his own on this famous ground.